Do you cleanse your skin every day? The first step on the path to beautiful, well-cared-for skin is a good cleansing routine. When you cleanse your skin, you remove any remnants of make-up. You also remove the dust, pollution and sweat that inevitably cling to your skin during the day and clog your pores. AND – when you cleanse your skin, you also maximise the effect of your skin care products, because cleansed skin absorbs them much more efficiently. Step one of your daily skin care routine is to clean your face using some sort of cleansing lotion. The cleansing product can be a cleansing milk, a cleansing wash or a cleansing oil depending on your skin type and what you prefer. It is important that you do not skip this step in your daily skin care routine. How well your skin is cleansed will affect the way that your skin will absorb the following skin care products, such as facial serum or a good moisturising cream. 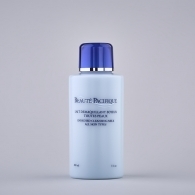 It is important that you use a cleansing product for your particular skin type. You should never just use regular water to clean your face, because this will not be able to dissolve the fat, which inevitably will cling to your face. Using only water will clog up your pores, which prevent the following skin care products from being absorbed by the skin. 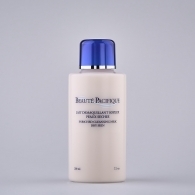 If you have skin that is easily irritated, you should use a cleansing lotion for sensitive skin. Then you make sure that the skin will not be irritated by being cleansed. If you have a tendency to both dry and oily skin, you should choose a cleansing lotion for combination skin. You can also get a cleansing face wash for oily skin and a mild cleansing lotion for dry skin. Your skin care products, such as your day- and night cream and your rejuvenating serum will work better when applied to a completely clean face. The products will not be able to penetrate the skin if a layer of make-up, dead skin cells and other kinds of dirt cling to your skin. A clean face enables the active ingredients from your moisturising cream to penetrate deep under the top layer of the skin and work effectively. 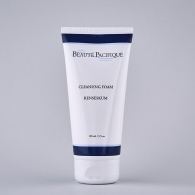 A deep skin cleansing is inevitable if you want healthy looking skin. At least one out of three women will never clean their face using a deep cleansing wash. It is important to cleanse your face every day, so that particles from pollution and dust will not cling to your skin causing clogged pores. 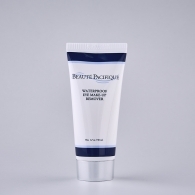 Your skin will age much quicker if you do not use a deep cleansing lotion every day. The skin will, therefore, not get a chance to replenish itself after being exposed to external influences during the day. Most importantly, you should cleanse your skin at night before going to bed. During the day you have exposed your skin to both sweat, pollution, dust and probably make-up. 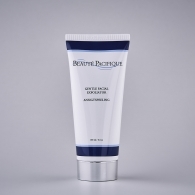 Deep cleansing facial products will make sure that everything will be removed from your face. It has been proven that the air pollution and smog that you inevitably expose your skin to will cause early signs of aging. If you cleanse your skin daily you will prevent the skin from aging early, so that it can stay beautiful and healthy looking for as long as possible. In the morning it is not as important to cleanse your skin, because during the night your skin will not be exposed to the same external influences as during the day. But of course, dust will cling to your face during the night as well. So, if you have the time it is a good idea to use a facial cleanser in the morning as well. If you feel that your makeup do not cooperate as well as you would like, when you apply it to your face in the morning, it might be because your face is not completely clean. 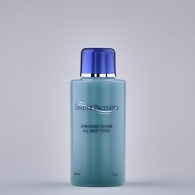 Try cleaning your face with a cleansing milk lotion before applying makeup to your face and see the difference. When you look for a new cleansing lotion you should always be aware to choose a product that fits your individual skin type. In that way you are guaranteed that you not irritate the skin causing it to break out or worse. There are many different types of skin cleansing products on the market, such as cleansing milk, cleansing wash and cleansing oil. You can get all of these for different skin types. Is your skin normal with a tendency to dry out in the winter months, when the weather is colder? If that is the case it is important that you choose a mild cleansing lotion for dry skin, so that you do not irritate or dry out the skin. A gentle cleansing lotion will cleanse your skin mildly without making it dry out, which is why these types of products are perfect for dry skin. A cleansing milk for dry skin will specifically cleanse the skin while moisturising the skin so that the following moisturising product better will be absorbed. Cleansing products for oily skin with a tendency to breakouts should be mild and gentle for the skin. At the same time they should contain anti-blemish ingredients. 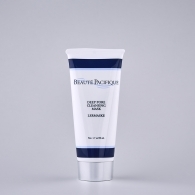 A cleansing lotion for oily skin will nurture the skin while removing excess fat. It will also prevent breakouts.